Sheppard Pratt is home to one of the nation’s leading neuropsychiatry programs. Since 1997, our collaborative team of experts has been delivering compassionate care to people with severe memory, thinking, and emotional problems. 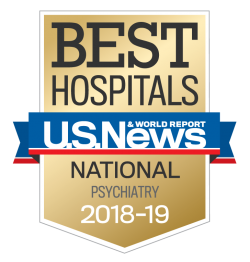 Our Neuropsychiatry Program offers unique expertise in complex mental disorders that stem from nervous system (neurologic) problems. Learn more about the Neuropsychiatry Program.